4 Bedroom Detached House For Sale in Bedford for Asking Price £515,000. Wilson peacock County homes present for sale this well proportioned home, this property is enhanced by parking for up to two cars. In brief the property consists of a large kitchen diner with built in appliances. Extensive sitting room with double patio doors leading to the rear garden. The downstairs has extensive storage areas and a separate utility room. On the first floor there are two double bedrooms and a single, the master bedroom has en suite facilities and is currently utilising the single room as a walk in wardrobe. The second floor has a further bedroom and bathroom with a small kitchen area that could be utilised as a annexe. 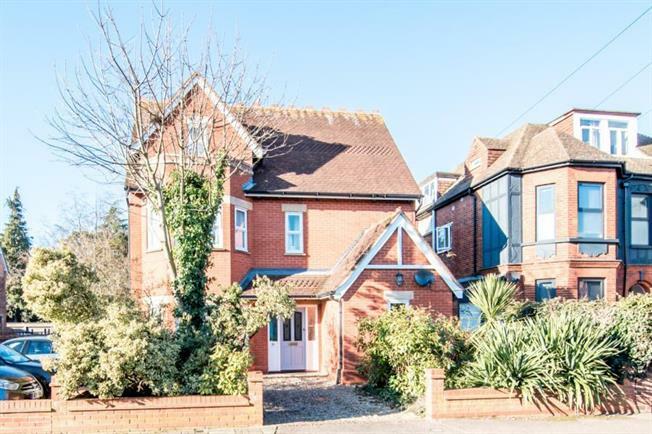 This property is in excellent condition and is located just a short walk from the desirable park avenue. Bedford Mainline train station is within easy walking distance. and town centre located just 10 minutes away.